We’re back with the final post in our three month project mapping seasonal fruits & vegetables. A huge thank you to Miss Magpie Spy for all of her beautiful illustrations, and Rushton’s Greengrocer (who provides fresh daily fruit & veg to London’s restaurants and bars) for our chosen produce. 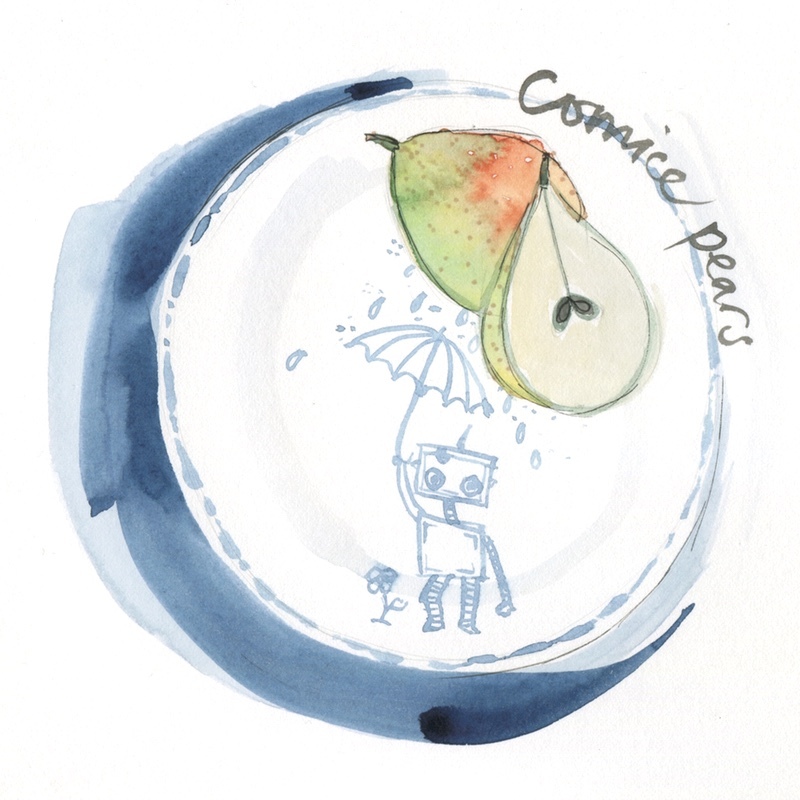 As in previous months, all of the illustrations feature gorgeous plates that are currently on sale in various retailers, just click on the link below each image. This month’s theme is faces, SUPER, SUPER CUTE FACES! What is it? ‘Doyenne du Comice’ is a popular dessert pear with a fine flavour that was introduced from France in 1849. Many foodies claim it’s actually the ‘best’ pear of all. How do they taste? Comice is a popular pear variety due to its great texture and flavour when firm or fully ripe. It has a green to light yellow colour and is a fairly short & dumpy pear. It has a soft, sweet and buttery flesh when ripened. How do you cook them? These babies are just coming to the end of their season, so snap them soon. They’re good for cooking and eating, particularly with cheese. I, however, am partial to this Martha Stewart recipe for a warm pear and custard pie. Perfect. Buying tips? Pears are usually picked when slightly under-ripe and they improve in texture and flavour after picking. What is it? Jersey Royals have been grown on Jersey for over 130 years. 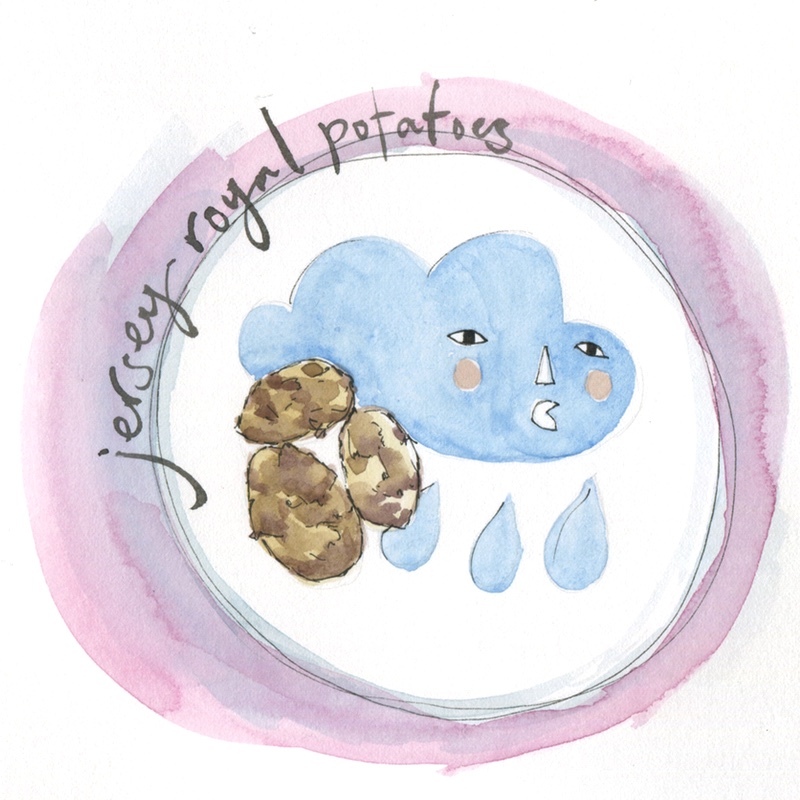 Today there are approximately 20 island farmers who grow Jersey Royals, many of whom grow potatoes and no other crops. The potatoes are grown on approximately 16,500 vergees (approx. 7,300 acres). These classic British vegetables are in fact also covered by the EU Protected Food Name Scheme. How do they taste? The fabulous flavour of Jersey Royal new potatoes arises from the unique growing conditions on the island (see below). A true seasonal gem, around 99% of the crop is exported to the UK and the rest are enjoyed by the Jersey inhabitants. The season is short-lived so gobble them up while you can. How do you cook them? Wash, but don’t scrape the potatoes as there are a lot of nutrients as well as flavour in the skins. Place the larger ones over the base of the saucepan and pop the smaller ones on top. Pour in enough boiling water to almost cover, add some salt. Cover with a tight-fitting lid, and simmer gently for about 20 minutes. Drain, mix in some butter and chopped mint, then serve. Buying tips? The main outdoor crop is planted from January to April with harvesting from the end of March through to the July. The peak of the season is May, when up to 1,500 tonnes of Royals can be exported daily. What is it? 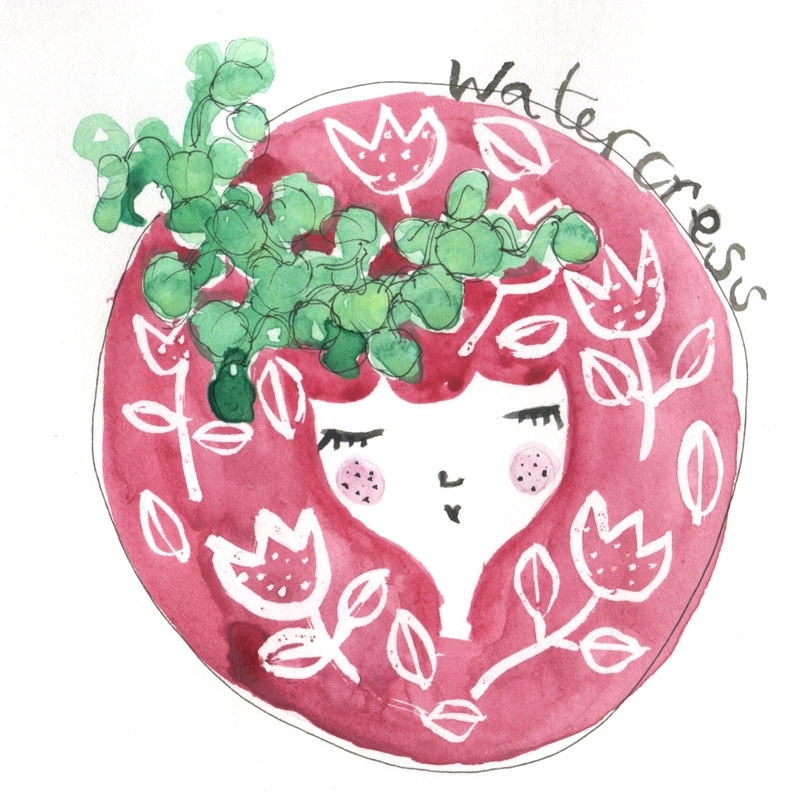 Watercress is a highly nutritious plant packed with essential vitamins and minerals, with more nutrients than many vegetables. Much of this nutrition is part of the plant’s makeup but it’s also worth noting that the mineral rich spring water used to grow watercress in the UK and overseas adds to this. How do they taste? Bursting with vitamins and minerals, this peppery little leaf is one of our natural superfoods. How do you cook them? Watercress leaves have a mustardy bite that makes them natural bedfellows to strongly flavoured meats such as game. The leaves are most commonly served raw as a garnish to eggs or meat, or as part of a salad with orange segments. Watercress also makes a pleasingly peppery soup that is as good hot as it is chilled. Buying tips? Look for crisp leaves with a deep green colour. What is it? Also called bear’s garlic, this is a wild relative of chives – and while you can eat the bulbs, it’s actually the leaves that provide the best eating. How much? A huge amount online (£12 for 500g), less so at the markets – free from the forests! How do they taste? 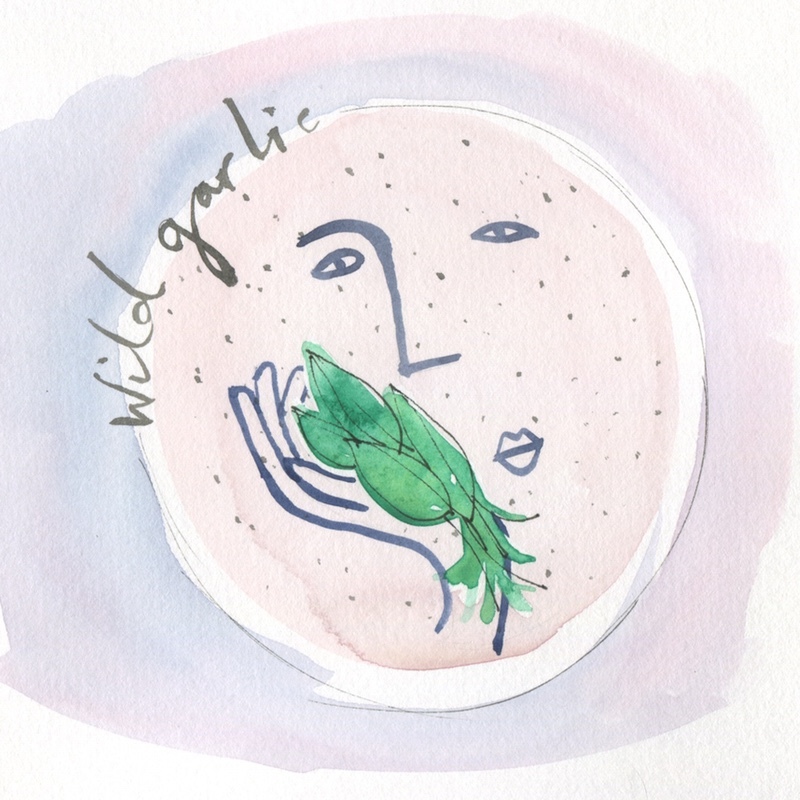 Wild garlic has the same pleasing combination of sweetness and astringency that makes leeks, onions, spring onion, chives and bulb garlic so useful in the kitchen. Eaten raw the leaves are at their most pungent and fiery, but they come into their own when cooked. How do you cook them? Blanch or wilt in olive oil – they make a delicately garlicky alternative to spinach (though in the same way, you need a HUGE amount to make just a few portions). This wild garlic pesto from Great British Chefs is a way to use and store at the same time. Buying tips? Be very careful when picking. Wild garlic grows, as you’d imagine, wild, and looks very similar to poisonous plants like Lily of the Valley. If you’re lucky enough to find some, make sure to follow a decent picking guide like the one from The Telegraph here.